I checked out the brand spanking new Dépanneur Peluso's Beaubien location the other day and asked one of the beer experts to recommend me an awesome IPA that I can buy in single cans. He handed me a can of Vox Populi's Vox Pop IPA (Citra). 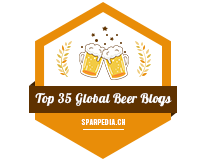 What surprised me was that he didn't suggest Vox Populi's Double Fruit Punch, but I've been told that Double Fruit Punch is incredibly overrated.. even if it's regarded as one of the top Canadian beers according to Untappd users. 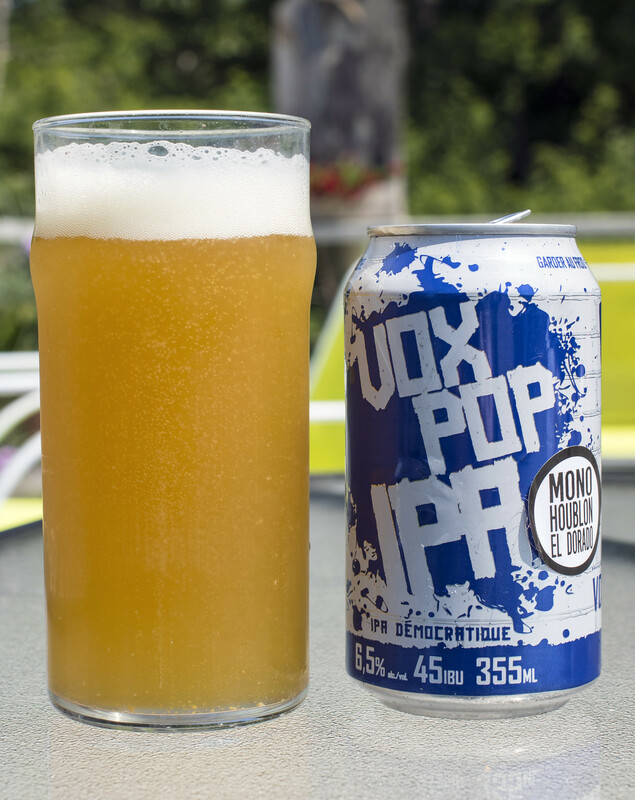 I really enjoyed the Vox Pop IPA a lot, to the point I was wanting to bring home a six-pack of it back to Manitoba. Unfortunately, my luggage was already over the weight limit so I could only take one can home. I went back to Peluso and while they didn't have the Citra version of Vox Pop IPA anymore, they did have a single hopped El Dorado version of the beer, so I took home that beer instead. Appearance: Vox Pop Mono Houblon El Dorado pours a bright hazy orange body with a thick, frothy off-white head on top. There's a decent amount of glass residue as the beer is quickly being sampled. Aroma: There's notes of alfalfa, pineapple, a hint of yeastiness, hint of pine. This is pretty decently juicy.. which surprised me a bit because I don't remember El Dorado hop being a juicy hop to begin with. Taste: Wow, this is a sweet, juicy-forward IPA that reminds me of great New England IPAs. There's flavours of orange, pineapple, leafy and alfalfa hops, a moderate amount of booze burn, lemon and a bit of grassiness to it. Overall Thoughts: Delicious IPA! It's juicy, floral, a bit grassy and goes down like ice cold water on a hot summer day. Vox Populi has their beer contract brewed over at Oshlag alongside breweries like Avant Garde, so I'm honestly insanely impressed that a contract brewery can consistently make beers so delicious I wish I bought a six pack of it. 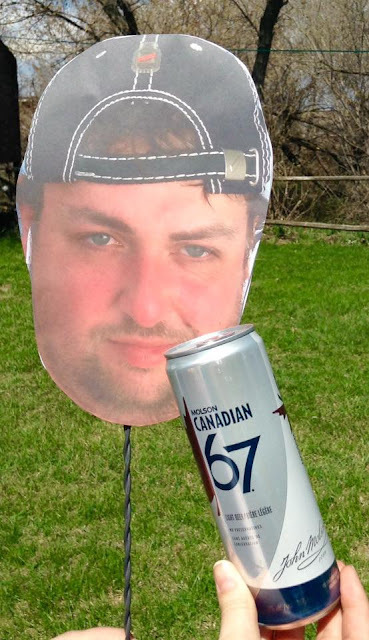 I'm going to have to trade some beer to get more of this.. once I have more than $50 in my chequing account. 6.5% ABV, 45 IBU.